On this week’s episode of A Good Habit we were joined by Dr. David Delaney, doctor of systematic theology and founder and director of the Mother of the Americas Institute. 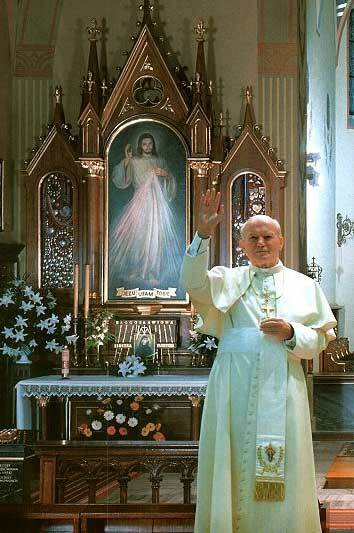 Since it was the anniversary of St. John Paul II’s funeral, and since this Sunday the Church celebrates Divine Mercy Sunday, it was the perfect time to discuss JPII and the importance of the Divine Mercy message, to which he had such deep devotion. The topic of Divine Mercy is a popular one, and we got lots of emails during the show asking about the Divine Mercy grace and the plenary indulgence the Church has attached to this feast day. Please read this article for an explanation of the difference between the indulgence and the promise, and how you can obtain them both on this very special feast. More info about the plenary indulgence for Divine Mercy Sunday can be found at the Vatican website here. Pope Francis has declared an extraordinary jubilee year of Mercy to begin this December 8th, the feast of the Immaculate Conception. This Sunday the Holy Father will publish the decree on the Year of Mercy, which will give us more details about this special jubilee. Keep your eyes on zenit.org or news.va to read the decree once it’s released. If the Divine Mercy message and devotion is new to you please visit the Divine Mercy section on the website of the Marians of the Immaculate Conception for great resources, articles and books. God has given the world a very special gift through His revelations to St. Faustina, a message of love and mercy that every heart needs to hear. Learn it, live it, spread it, celebrate it. Find out what special Divine Mercy events are happening in your diocese this weekend. His mercy endures forever! Have a blessed Divine Mercy Sunday! This entry was posted in A Good Habit, Devotions, Easter and tagged A Good Habit, Divine Mercy Novena, Divine Mercy Sunday, Dr. David Delaney, Marians of the Immaculate Conception, Mother of the Americas Institute, Plenary Indulgence, St. Faustina Kowalska, St. John Paul II by texasnuns. Bookmark the permalink.